The catalogue of service providers is an important tool to provide transparency on service providers active in the Congo Basin Program. 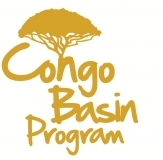 The service providers have been screened by the Congo Basin Program Secretariat to make sure the catalogue includes organizations with a proven track record for the services for which they present themselves. Forest companies that are partner of the Congo Basin Program are free to select the service provider with whom they wish to cooperate as long as the organization is listed in the services catalogue. Annually, the services catalogue will be updated. The catalogue can be down loaded here (1.6 Mb) (in French).